Researchers have come up with an app that goes one step beyond the sleep-monitoring apps already on the market. The old-style apps help people monitor their sleep patterns by monitoring time of going to bed, time of waking up and any tossing and turning. Now, a group of Brown University computer scientists and clinical psychologists have developed an approach that takes sleep monitoring to another level. The approach, dubbed SleepCoacher, uses sleep analytics to generate personalized recommendations informed by the scientific literature on sleep. SleepCoacher then guides users through a self-experimentation framework to help people find the recommendations that best work for them. “The idea is to not only present people with information about their sleep, but to give them some control over it by giving recommendations along with a step-by-step plan for improving their sleep,” said Nediyana Daskalova, a doctoral student in computer science at Brown who is leading the development of SleepCoacher. Daskalova and her team developed SleepCoacher under the direction of Jeff Huang, an assistant professor of computer science at Brown and leader of Brown’s Human-Computer Interaction Group. For the pilot studies, the team used a slightly modified version of a commercially available cellphone app called Sleep as Android. In addition to the app’s standard monitoring capabilities, the modified version allows people to enter a rating of how refreshed they feel in the morning, as well as noting other factors that might affect sleep, like whether they had caffeine or alcohol during the day, or whether they exercised. 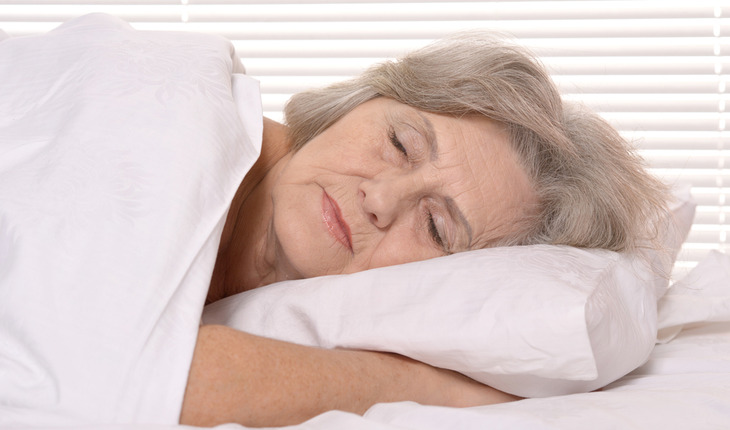 Using that data, the SleepCoacher algorithm looks to see what factors, either detected by the app or reported by the participants, were correlated with three key sleep outcomes: how long it took people to fall asleep, how many times they woke up during the night and how refreshed they reported feeling in the morning. When a strong correlation is detected, the algorithm generates a recommendation based on a collection of 117 recommendation templates developed in consultation with a group of clinical psychologists and psychiatrists from Brown’s Alpert Medical School. The recommendations were sent via text message to participants in the two studies, the first of which included 24 participants and the second 19. SleepCoacher then guides users through mini experiments to see if that recommendation is useful. Users are instructed to follow the recommendation for several nights and then ignore it for several nights. By measuring differences in sleep outcome when the user follows the recommendation and when they don’t, SleepCoacher determines whether or not that recommendation if right for that user. Daskalova said she was surprised to see just how much variation there was among people who participated in the studies. The code behind SleepCoacher is open-source and available on the project’s website. The team is in the process of making self-contained SleepCoacher apps for iOS and Android, which they hope to make available on January 1. They also intent to perform more expansive studies of the apps to test their efficacy.